“Next year here in Detroit, we will expand our conventional hybrid line-up by staging world premiers of two all-new, dedicated hybrids, one for Toyota and one for Lexus,” Watanabe told reporters. These new cars will be conventional hybrids, similar to the current Prius, in which an electric motor works in tandem with an internal combustion petrol engine. 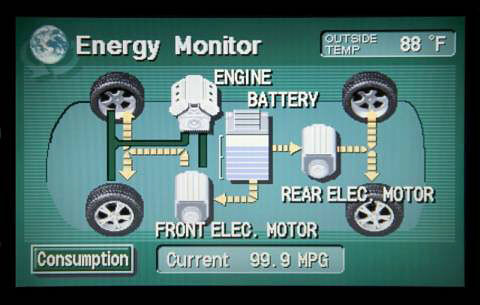 We’ll have to wait until 2010 at the earliest to see the first Toyota plug-in hybrids hit the roads. Watanabe promised that by the end of the decade Toyota will deliver a “significant fleet” of plug-in hybrids powered by lithium-ion batteries, reports Automotive News. This dedicated hybrid’s introduction has been rumored since early last year, though it was initially thought to be a Europe/Japan-only model. As for the plug-in hybrids, it’s too early to know how that will play out, though I’m sure more information will be forthcoming. Watanabe also announced that the Tundra & Sequoia would soon be offered with diesel engines. Considering that the LX 570 is powered by the Tundra engine, it only stands to reason that diesel options will soon be coming to Lexus as well.